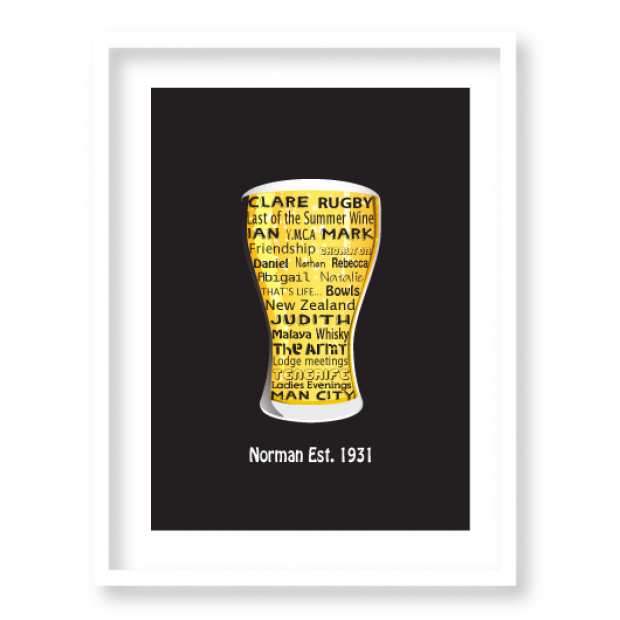 The perfect gift for a beer drinker personalised with their name and year. An A4 print available in a black or white A3 frame. 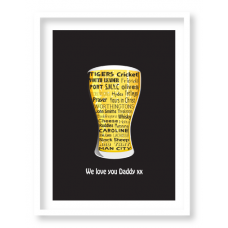 Ideal for any special birthday or occasion!